Blowout Sale! 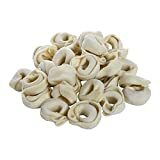 Up to 59% off on Tortellini at Smokey Robinson Foods. 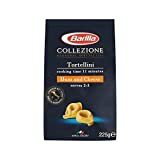 Top brands include Barilla, Laboratorio Tortellini Pastas, Carlas Pasta, ConAgra, & Ajinomoto Windsor. Hurry! Limited time offers. Offers valid only while supplies last. 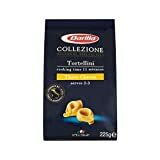 Carlas Precooked Six Cheese Sacchettini Egg Pasta, 2.5 Pound - 2 per case. 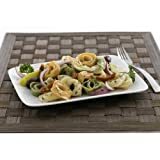 Conagra Angela Mia Tricolor Cheese Tortellini Pasta, 5 Pound - 2 per case. 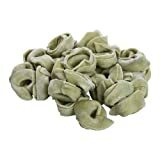 Windsor Bernardi Spinach Tortellini, 4 Pound - 3 per case. 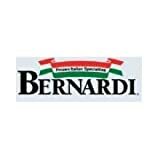 Windsor Bernardi Beef Tortellini, 4 Pound - 3 per case. 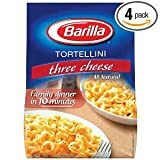 Windsor Bernardi Garden Trio Cheese Tortellini, 2.5 Pound - 4 per case. 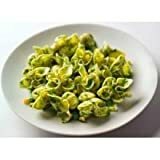 Carlas Dominics Rainbow Cheese Tortellini Pasta, 3 Pound - 4 per case. 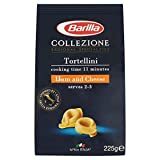 Conagra Angela Mia Cheese Tortellini Pasta, 5 Pound - 2 per case. 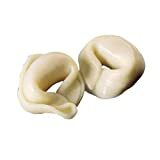 Windsor Bernardi Rotanelli Cheese Tortellini, 5 Pound - 2 per case. 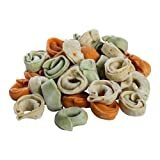 Carlas Precooked Rainbow Tortellini Cheese Pasta, 3 Pound - 3 per case. 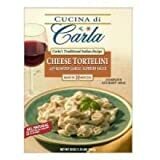 Carlas Dominics Cheese Tortellini Pasta, 3 Pound - 4 per case. 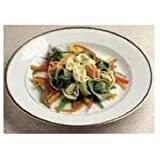 View more products in Pasta.